Mixture model-based clustering is widely used in many applications. In certain real-time applications the rapid increase of data size with time makes classical clustering algorithms too slow. An online clustering algorithm based on mixture models is presented in the context of a real-time flaw-diagnosis application for pressurized containers which uses data from acoustic emission signals. The proposed algorithm is a stochastic gradient algorithm derived from the classification version of the EM algorithm (CEM). 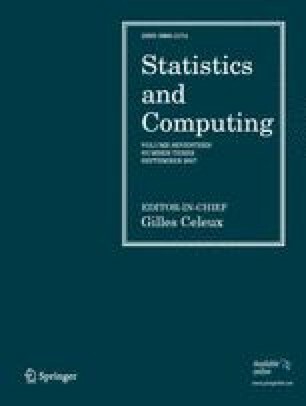 It provides a model-based generalization of the well-known online k-means algorithm, able to handle non-spherical clusters. Using synthetic and real data sets, the proposed algorithm is compared with the batch CEM algorithm and the online EM algorithm. The three approaches generate comparable solutions in terms of the resulting partition when clusters are relatively well separated, but online algorithms become faster as the size of the available observations increases.